Our product range includes a wide range of folding tent, advertisement tents, advertisement display tent, road show tent and lic promotional display tent. 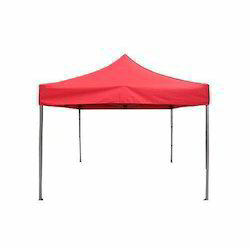 We offer Folding Tent (Gazebos) to our clients, which is well known for superior finish and durability standards. These are crafted by using best quality raw materials, which are sourced from certified vendors in the market. Our range of folding gazebos is available in various designs and sizes, which can be customized as per the requirement of our clients. 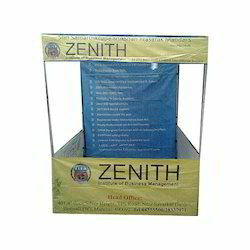 The rich collection of our Advertisement Tents is extensively used for promotion and sales purposes. These tents are very light in weight, durable and can easily be transferred from one place to another. Our range is manufactured using water proof materials, which prevents stagnating of water and is finely stitched with durable threads. 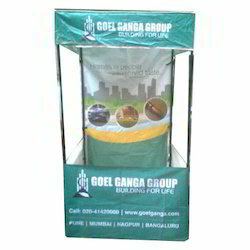 We also provide Advertisement Display Tent to our clients as per their requirement. These are lightweight and portable, so as to facilitate easy removal and placement at different venues or traveling exhibitions. It is widely used for promotional and sales purposes. Our range is finely stitched with water proof material and durable threads. Our esteemed clients can avail from us a wide range of Road Show Tent at competitive prices. 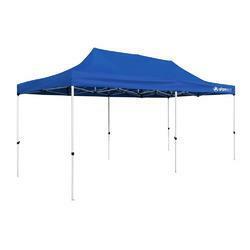 These tents are specifically made for advertisement or promotional purposes. Our range is highly popular at exhibitions and road shows. Moreover, these are quite light in weight and can be easily installed on any desired site. 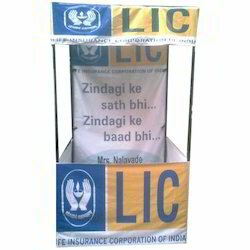 We are manufacturing and supplying a diverse range of Promotional Display Tent LIC, which is designed as par international standards. These stalls are widely used in all the seasons for promotional activities of different products. Our range is available in big sizes and has high capacity to accommodate large number of people. Looking for Advertisement Tent ?